Dota 2 betting odds: Who Will Win DC Captains Draft 4.0? DotaCinema and MoonduckTV are preparing their fourth instalment of the Captains Draft tournament series. This huge prize pool of $300 000 is not the only reason to fight. The winner will receive qualification points for The International 2018. Unibet Sportsbook kindly offers you the best Dota 2 betting odds. Dota 2 gained enormous popularity in 2013 and flashed through countries. So, Dota 2 betting odds promptly appeared on online betting sites in the US and all over the world. The name of the tournament speaks itself. 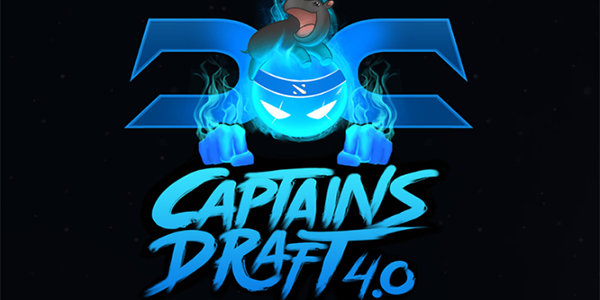 All games are played in the Captains Draft mode. Eight teams in total are divided in two groups in order to play in round-robin format during Group Stage. All matches are played in Bo1 and seeding for the playoffs is specified by placement in the groups. The playoffs follow single-elimination bracket. All matches are played in Bo3, while finals are played in Bo5. Event will be held from January 4 to January 7 in DC Armory, Washington, US. The Winner will receive $108 000 and 300 ProCircuit Points, while $69,000 will go to the 2nd place holder and $37,500 for both 3rd and 4th. Invited teams, Evil Geniuses and Team Secret, will be joined by the winners of the six regional qualifiers. The first thing that catches the eye is Team Secret with its 3.50. Almost legendary Dota 2 team with a decent track record and $5,236,080 in total earnings. They appeared on the e-sports scene in 2014 and from that moment they have always been in the middle of it. ViCI Gaming and Evil Geniuses (invited team) follow Team Secret with 4.00 and 4.50 respectively. These guys are real e-sports veterans. Evil Geniuses were founded in 1999 and considered as one of the oldest North American professional gaming organizations. Evil’s players are known as highly successful players in every competitive game and considered as one of the premier gaming organizations. ViCi Gaming is not so old but still highly respected among gamers and fans. VG appeared in 2012 and since then the compositions of its teams has varied a lot. Anyway, if you want to bet on Dota, VG is a good choice. Actually, compLexity could be easily added to the list of veterans as being founded in 2003 in LA, but unlike VG and Evil Geniuses couldn’t win the trust of fans. The team failed during their CS period and soon members transferred to Evil Geniuses. OG is the youngest team amongst the above-mentioned, but became the first team in Dota 2 to win four Dota Major Championships. Guys could even once defeat Team Secret! Visit online betting sites in the US to find your favourite team and bet on Dota 2! DOTA 2 Betting: Who Will Win Kuala Lumpur Major 2018? The International 2017 Betting Odds: Here Is Where You Should Bet on Dota 2 in Philippines!